Fitness Depot's Cardio Pump Set introduces a perfect way to combine cardio and strength training at home or in group exercises. 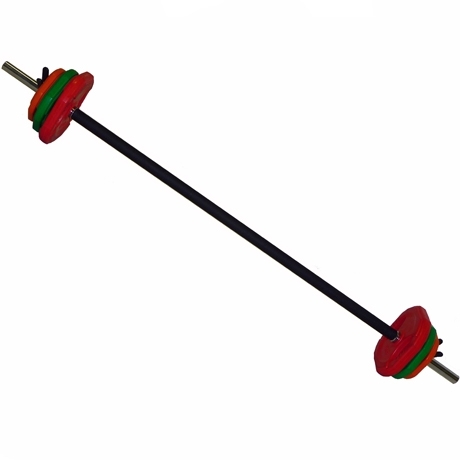 The set includes 1 30mm diameter x 59" Long hollow cardio pump bar covered with a comfortable foam grip, 2 x 10 lb., 2 x 5 lb. and 2 x 2.5 lb. rubber-coated plates, along with a pair of spring collars.